It is estimated that one out of every two Americans will suffer from back pain in their lifetime. The cost to society in medical care and lost productivity is in the billions of dollars every year. Studies have shown that for a large percentage of individuals there is no benefit to undergoing surgery. Knee pain will affect almost one in three Americans during their lifetime and it will also cost society billions of dollars every year. The good news is that The Active Foot Stores, custom orthotics will provide tremendous relief of knee and low back pain. There are many causes of knee and low back pain. Some complex, others simple. Some of the more common causes are arthritis, trauma, muscle weakness and faulty “mechanics” when walking. No matter what the reason for the onset of this problem an improper walk often aggravates it. When we are seated our foot moves freely in the air and has no effect on the body. When standing and the foot goes through motion, the leg and ultimately the whole body is forced to follow. Our whole body pivots around a fixed point, the foot, when we walk. If there is excessive improper motion abnormal stress are placed on all the joints of the body. 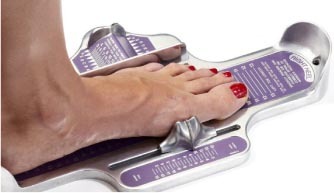 The Active Feet Stores’ custom orthotics will restore normal motion of your foot and ultimately your body. As we walk (gait) our feet ideally move in different directions, supination and pronation. Our arches rise up and lock into place (supination), when we are preparing to step off a firm platform, our foot. When we land our arches unlock and start to lower (pronation), allowing us to absorb shock. Ideally our foot should go through both these motions in normal walking. Unfortunately not everyone is built perfectly and often our arches unlock excessively or fail to lock properly. 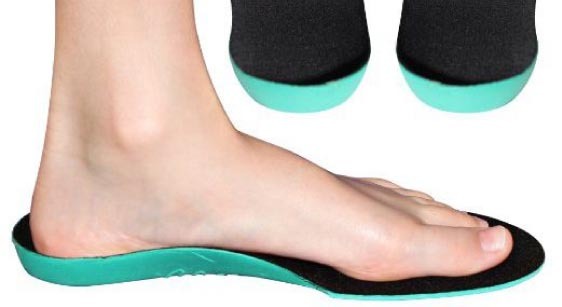 This is sometimes referred to as a “flat foot” or “fallen arches” or “collapsed arches.” When the foot collapses or rolls in excessively, the leg, which is attached at the ankle, has no choice but to rotate internally. This excessive rotation of the limb results in abnormal pressures on the knee and low back. Also, the body absorbs shock as the foot pronates and if it cannot pronate because it is already pronated, then the shock will be transferred into the legs, knees and back. Think of our feet like the shock absorbers on a car. The shocks absorb shock by shortening. But, if the shock absorber has completely shortened, then it cannot absorb any more shock. In other words, if our foot is fully collapsed, then it can not absorb any more shock and we feel the stresses of walking in our bodies.